You are enquiring about: The Lincoln. Please complete this form, and one of our representatives will contact you about our The Lincoln products. Step One –Use the thermostatically-controlled taps fill the bath to a depth and temperature that suits you. Step Two – Gently place the resident in the bath or on the bathing platform. Then just press the button on the hand control and raise the bath to a working height that’s convenient for you, so you don’t have to keep bending over. 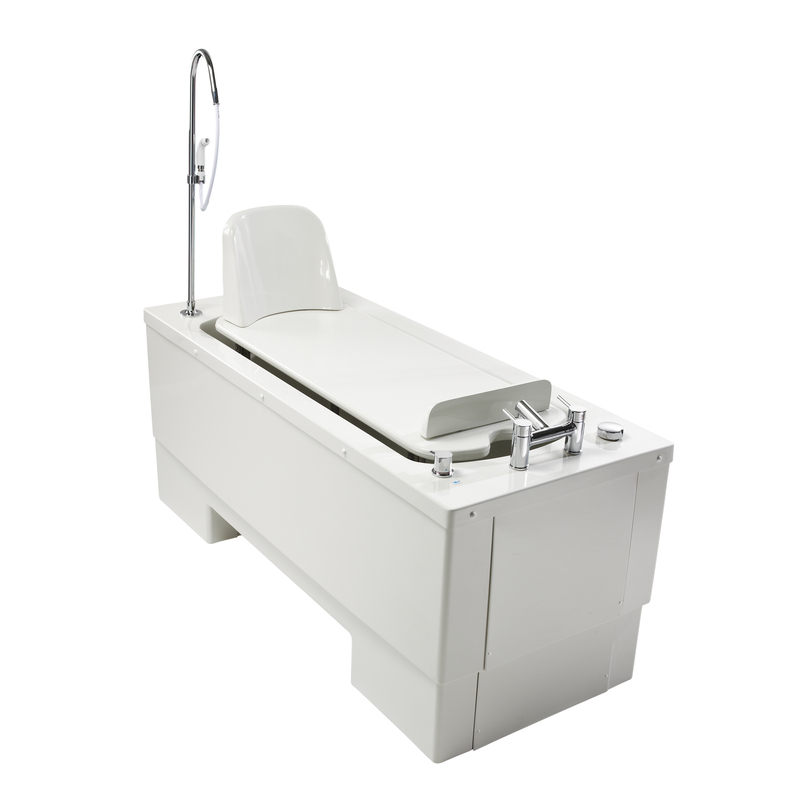 Step Three – Press a button on the hand control and the bath is gently lowered. If you’re using a bathing platform, the resident is lifted clear of the water ready to be dried and easily transferred. WRAS certification (no. 0904065 with shower, 0904064 without shower) for added peace of mind.